Environmentalist Bill McKibbey wrote "... when confronted by small men doing big and stupid things, we need to resist with all the creativity and wit we can muster." It is my understanding that the city of St. Helens intends to allow another failed fairy fiasco to commence at the end of September and run through the end of October in conjunction with the Spirit of Halloweentown events. One merchant in the downtown area of St. Helens was informed last Friday that First Street and most of Strand Street would be closed completely on weekends during nearly the entire month of October. A member of the City Council delivered this news to this one merchant on Strand Street. The notice of the street closure states that St. Helens Event Director Tina Curry-Cannard had requested a permit last spring. Apparently no appeal period is being allowed. 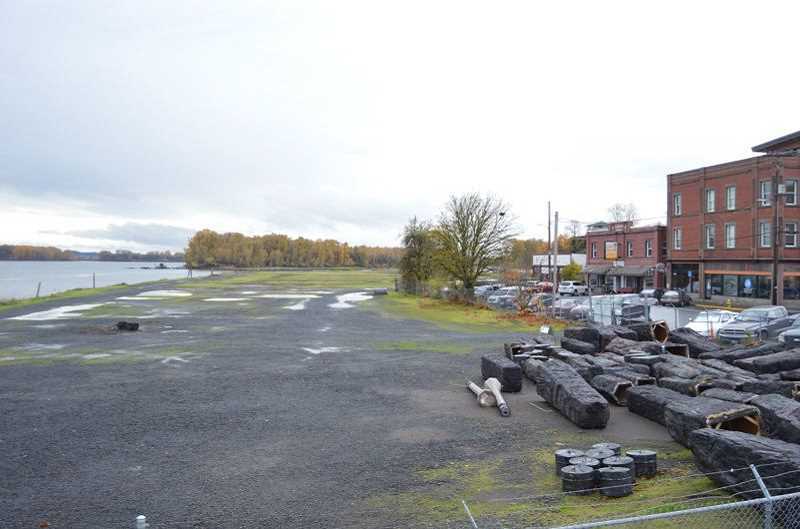 Cement barricades will be provided by the city at "my/our expense" — "my/our expense" being in reference to "Tina Cannard/City of St. Helens" as stated on the petition for temporary closure of city streets. In order for residents, business owners and customers to reach the only area open on Strand Street, it appears their only option will be to drive up 4th Street to the top of Nob Hill and then down Cowlitz to the other side. I wonder if the people on Nob Hill believe this will be of "no major conflicts" as stated in the petition. And most assuredly, neither the city of St. Helens nor Tina Curry-Cannard have contacted "affected property owners, business owners and/or tenants in person or in writing of my/our intent to close the street/s listed above and that written consents of each are attached," as is clearly specified as a requirement on the petition. This is a blatant lie. Yet, Curry-Cannard submitted this petition for closure to the city of St.
Helens. It was approved by the City Council and attested to by Kathy Payne, city recorder, on Sept.6 — not last spring. Who the hell is running the city of St. Helens? How can the mayor, the City Council, the city administrator and the city recorder simply accept that Curry-Cannard had contacted all those people she attested to contacting? How can they all just accept that Tina Curry-Cannard has written consent from them without seeing the supposed "attached" consent forms? The consent forms were not attached to the petition for temporary closure of city street(s) because Curry-Cannard did not notify or collect written consent. This is not only immoral. I would imagine it is illegal. Furthermore, there is no infrastructure for these "events" held on the waterfront property. There is no parking. There is no usable ingress and egress. There is no forward planning and the citizens of St. Helens are paying for all these errors in judgment.Once again, St. Helens administration has put the cart before the horse. It was mentioned to me just yesterday that Halloweentown will be getting just what it needs: a town of the past — a ghost town. This breaks my heart. Many promises were made by the city when this land was purchased with taxpayer money over three years ago. None of these have come to fruition. The city administrators have had enough time. I object to living on promises. I object that my town is dying. Citizens of St. Helens: We obviously are confronted by small men/women doing big and stupid things. We need to resist with all the creativity and wit we can muster. Make some noise. Please get involved. Vote for change — in all areas of our local government.